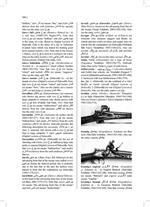 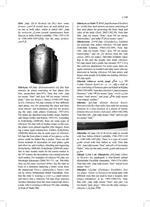 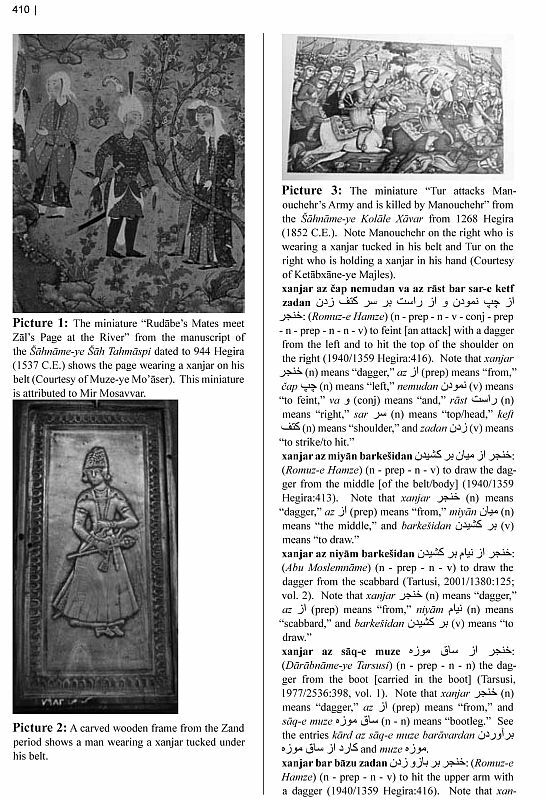 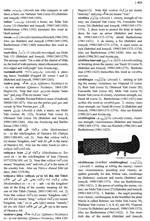 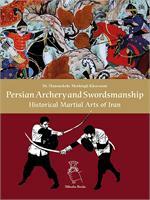 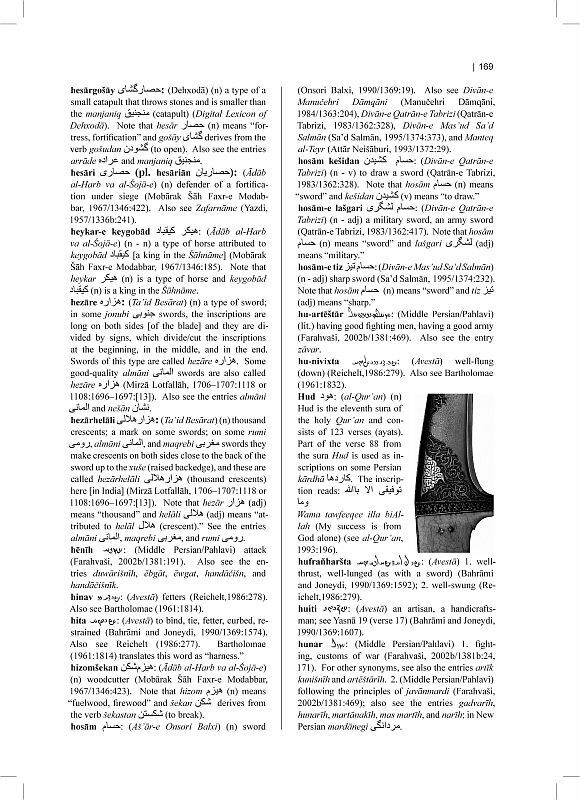 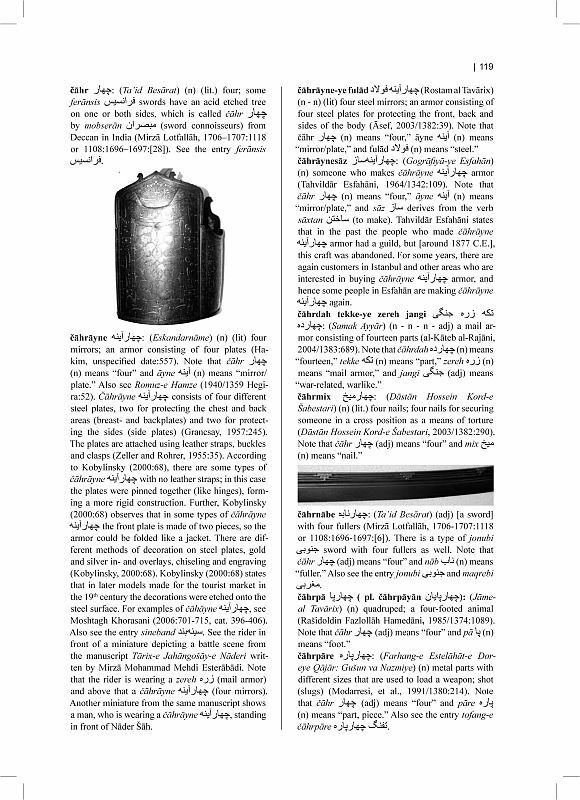 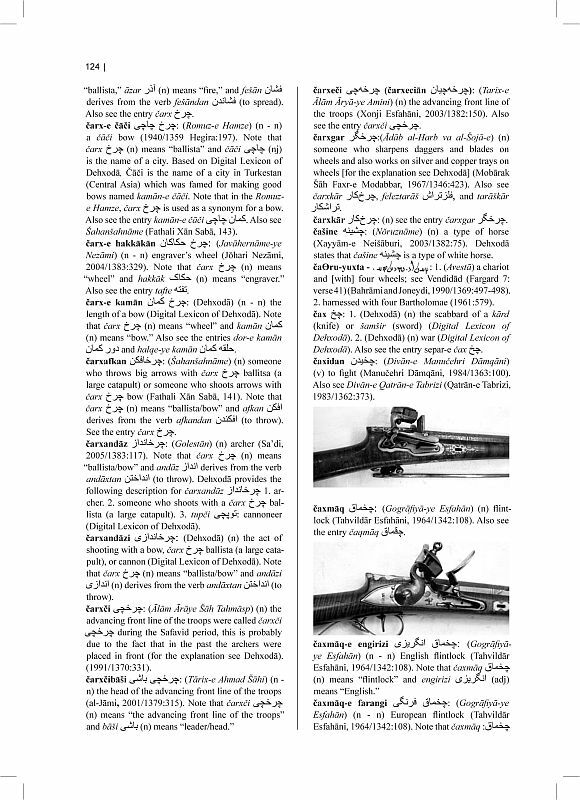 Both a companion title for Persian Archery and Swordsmanship and Arms and Armour of Iran, as well as a stand-alone title, the book Lexicon of Arms and Armor from Iran: A Study of Symbols and Terminology provides a sound and solid base of terminology of arms and armor in Persian so that military historians, historians, museum curators, researchers and collectors and also people interested in reading historical accounts and epic stories can understand and use the appropriate terms related to each certain type of weapons. 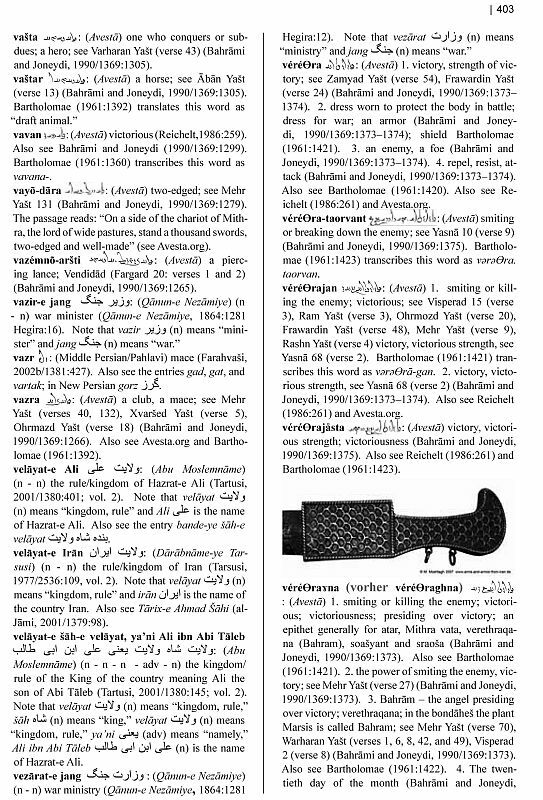 The lexicon provides the following categories of words and expressions: a) all types of offensive weapons, such as swords, maces, b) all types of defensive weapons, such as shields, armor, c) techniques employed by each weapon, such as striking the top of the head with a sword, d) forging techniques, materials used in making crucible steel cakes and forging, and terms related to watered steel, e) different types of horses because horses were used by the cavalry in the battle, f) all horse-related equipment, such as harness, g) siege weapons, such as catapult, h) other types of animals used on the battlefield, such as elephants and camels, i) terms related to the warrior codex of javānmardi, j) terms related to the traditional Persian martial art of varzeš pahlavāni and its related tools, k) wrestling techniques, l) metals and stones used as decorative elements in arms and armor such as gold and precious stones, m) terms related to fighting and warfare, such as attack, and n) historical firearms, such as matchlocks and flintlock guns. 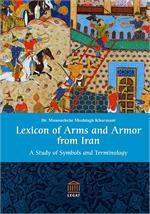 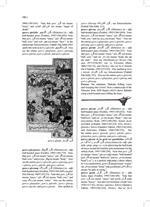 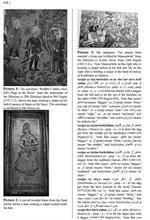 Persian culture and civilization is a fascinating old culture. 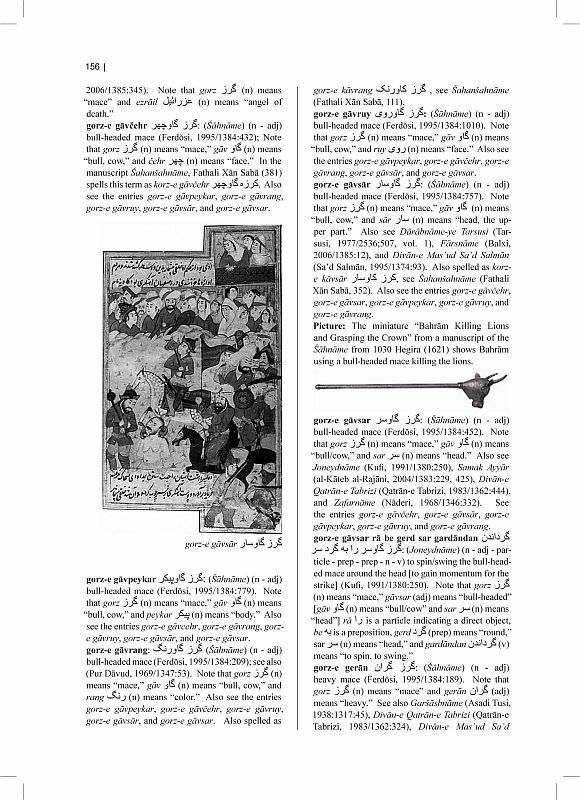 Therefore, the 5700 entries compiled by Dr. Khorasani source all four phases of the Persian language: the Avestan, the Old Persian, the Middle Persian (Pahlavi), and the New Persian. 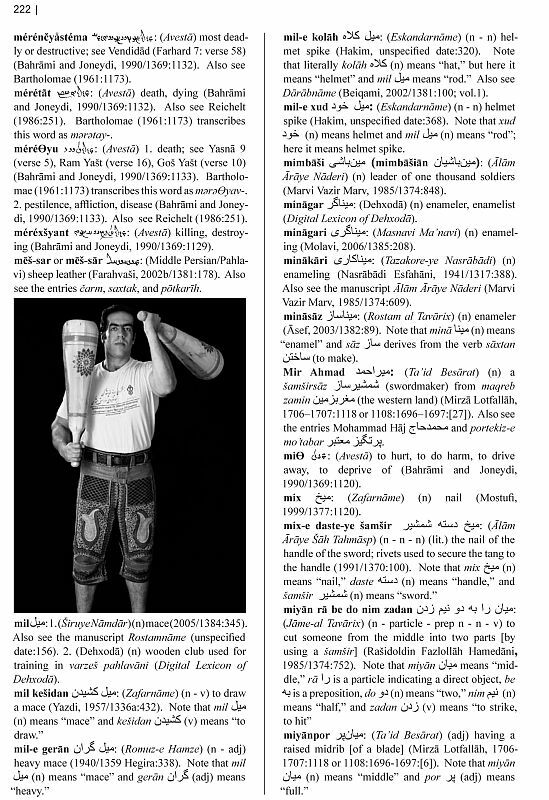 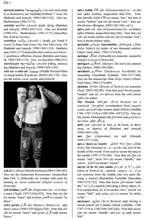 Each entry is written in its phonetic alphabet and accompanied by the original script is provided as well. 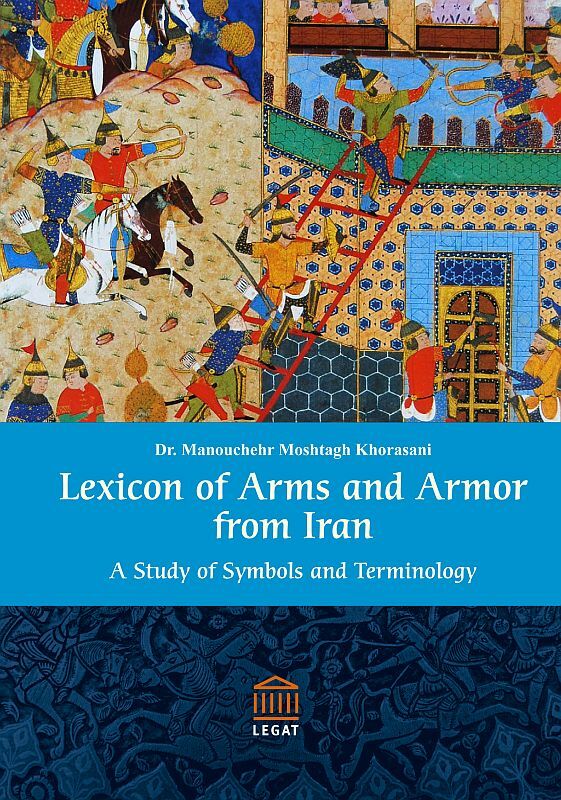 As a bonus, the Lexicon also offers a catalog of Persian arms and armor at the end offering a marvelous selection of sixty exquisite pieces of Iranian arms and armor from the Cultural Institute of Bonyād in Tehran and some pieces from private collections, among them the Ghiringhelli Collection in Italy.